Gus Hansen is the poker world’s answer to billionaire Richard Branson or the guy from the Dos Equis beer commercials because he has done it all and seen it all. The Copenhagen, Denmark native has been a youth tennis champion, world-class backgammon player, and one of People Magazine’s Sexiest Men. Oh yea….and he also happens to be a pretty good poker player too. Like several other prominent poker players, Gus Hansen got his start in gaming through backgammon. “The Great Dane” actually rose to become one of the top backgammon players in all of Denmark. Unfortunately, there is not much of a financial future in Danish backgammon, so he traveled to America and put his stake in Santa Cruz, California. While an exchange student at UC Santa Cruz, Hansen began frequenting the Ocean View Card Room. It was during these trips to Ocean View that he learned how poker games worked and developed his own unique playing style. The aggressive, unpredictable style that he patterned in these early poker sessions would later characterize Hansen’s play. After a short stint back home in Denmark for mandatory military service, Gus Hansen moved back to the United States so he could continue his gambling career. The Great Dane settled down in New York City, and made a living by playing backgammon, gin rummy and poker. After being a regular in the New York cash game scene, he decided to try his hand in a major Las Vegas poker tournament. Competing against a 146-player field in the 2002 Five Diamond World Poker Classic, Hansen won the tourney along with $556,460. A few months later, he would go on to capture the 2003 L.A. Poker Classic Main Event ($532,490), which gave him two WPT titles in a very short span. He later made history by winning the 2004 WPT Caribbean Adventure along with a $455,780 prize. Not even two years into his live tournament career, Gus Hansen had already become the first person ever to win three WPT titles. Following his milestone achievement, Gus Hanson would continue to be a force in the poker tournament world after winning the 2005 Poker SuperStars Invitational ($1 million), and finishing third in the 2005 WPT Bay 101 Shooting Star ($320k). He also managed to conquer the 2007 Aussie Millions Main Event, which earned him another $1,192,919. But as good as he was on the tournament felt, Hansen’s overly-aggressive style did not transition well onto the high stakes cash game tables. During the late-2000’s, the 38-year-old would lose millions of dollars in both live and online high stakes games. At one point, online tracking statistics showed that Hansen had lost over $5 million. Luckily, he has managed to turn things around following a $2.5 million profit in 2011, which was more than any other online cash player. – On the strength of numerous excellent tournament finishes, Gus Hansen has earned $10,210,072 in live tourney cashes, which ranks him 15th all-time. – Along with fellow poker pros Tony G and Erik Sagstrom, Gus Hansen launched an online poker site called PokerChamps.com. The trio would go on to sell the site to Betfair for $15 million. 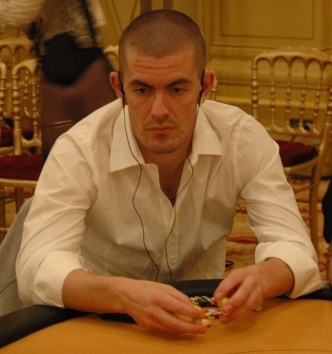 – The Great Dane has one gold bracelet, which came after he won the 2010 WSOPE £10,350 High Roller Heads-Up tournament. – In 2004, Gus Hansen was named one of People Magazine’s 50 Sexiest Men. – Hansen released a popular poker book in 2007, which is called Every Hand Revealed. The book dissects his thought process during hands from his 2007 Aussie Millions Main Event victory. – 2008 saw Hansen go back to his backgammon roots when he joined the World Series of Backgammon commentary team.